Ever since the chaos of Hal and Chic, Alice has sought guidance and healing from The Farm. Now, her words are coming together in her living with the support group visit. 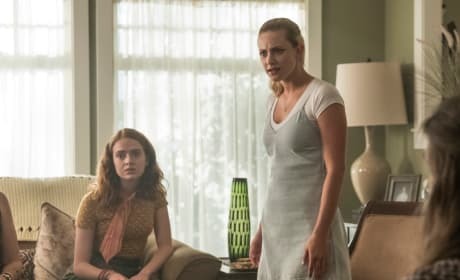 Why does Betty look so mad? She's sitting with the ladies of The Farm, but whoever she's staring at is getting all her hate. 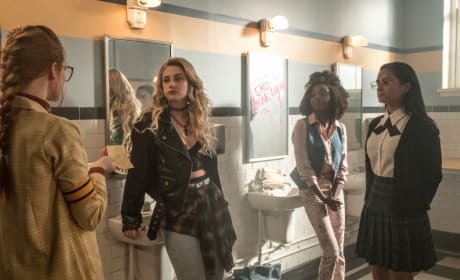 Evelyn is busy spreading the word of The Farm in the halls of Riverdale High. 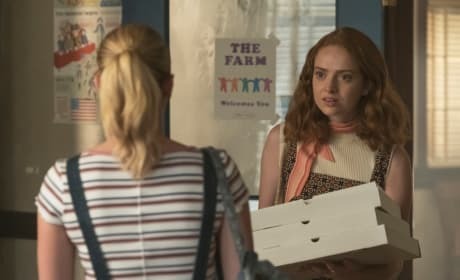 She's hoping friendship and pizza will convince a few friends. 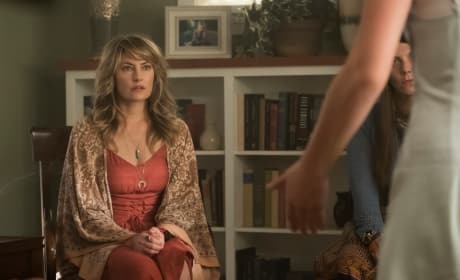 Evelyn Evernever has moved from the quiet, peaceful world of The Farm to Riverdale. Part of the move means that she'll be going to school with Betty. Betty spent a lot of time over the summer trying to clear Archie of the murder charges. Will she keep going to prove his innocence? 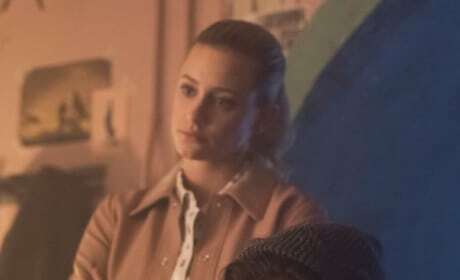 Betty and Jughead have their stern detective faces on. 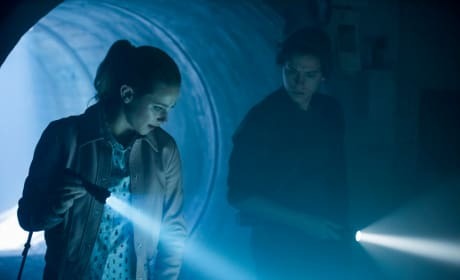 Whoever, or whatever, they discovered while investigating the sewers, the informations looks intriguing. 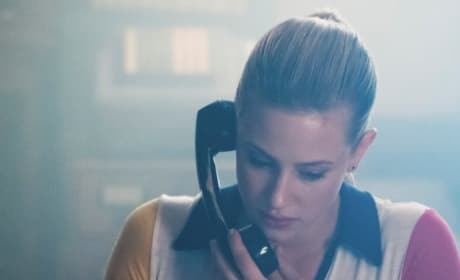 Where has Betty and Jughead's investigation led to now? There are photos and papers taped to the walls of this mysterious room. 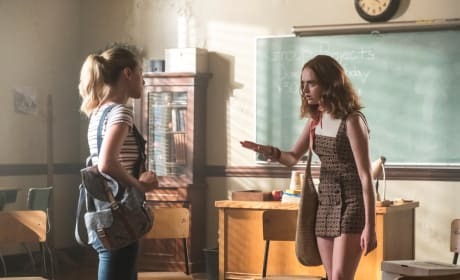 Betty Cooper is bringing out her Nancy Drew skills yet again to investigate the latest mystery in town. 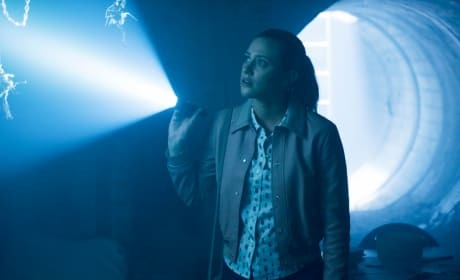 However, the mystery is taking her to dark places. 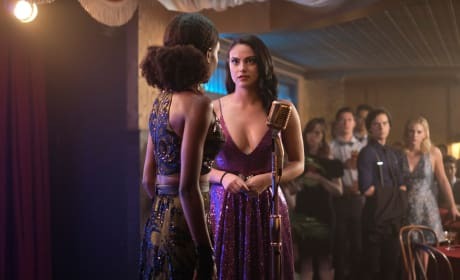 Betty and Jughead want to have a perfect life together. However, there's too much drama holding them back. 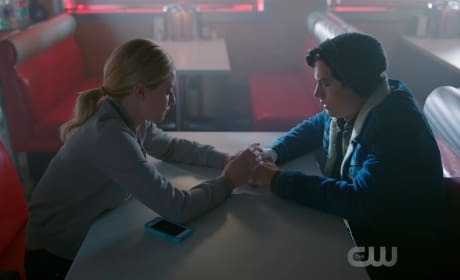 Betty and Jughead's relationship has reached that critical moment: They've lost their virginities to each other.